My mom was in town in early May (over Mother’s Day weekend in fact!) so I thought what a better activity for us than to head out for some wine tasting in Woodinville. Mom was in town from Anchorage (doesn’t happen all that often) and my friend Caity was also available to join us! Rob Williamson, General Manager at Russell’s Dining & Bar (@RussellsDining) in Bothell, had told me previously about the “Wine & Dine” tour offered as a collaboration between Russell’s and Butler Transportation. This Friday afternoon tour departs Russell’s at 3:30pm and heads out to visit several tasting rooms in the Woodinville area. For just $10/person you get to ride around in style in one of Butler’s Mercedes vans and visit at least three warehouse area wineries. 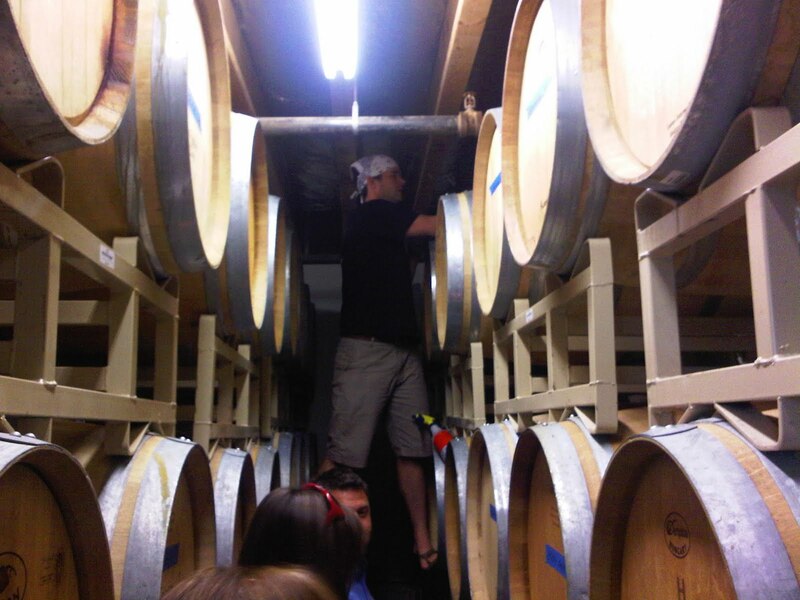 The wineries waive tasting fees as part of the tour also. After the wine tasting, you head back to Russell’s to enjoy dinner and no corkage fee on wine purchased on the tour! This sounded like such a great deal and a fun way to spend a Friday afternoon. The day of our tour, we arrived at Russell’s just in time and were greeted by Jeremy Butler, co-owner of Butler Transportation, and our driver Joseph. Our party of three happened to be the only ones booked for the afternoon, so we jumped in the van and off we went on our tour. The sun was shining and we were quite surprised that there was no one else joining us that day! Came to find out later that there had been several cancellations. That just meant more attention to us, which we definitely got! 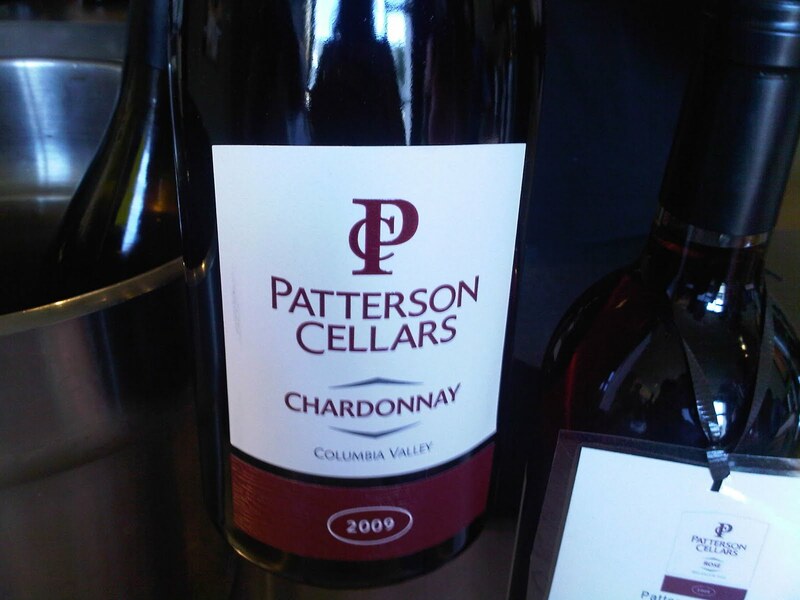 We started off our afternoon at Patterson Cellars, a winery I had never visited or tried before. Favorites of mine here were the 2009 Chardonnay and the 2009 Late Harvest Roussanne. 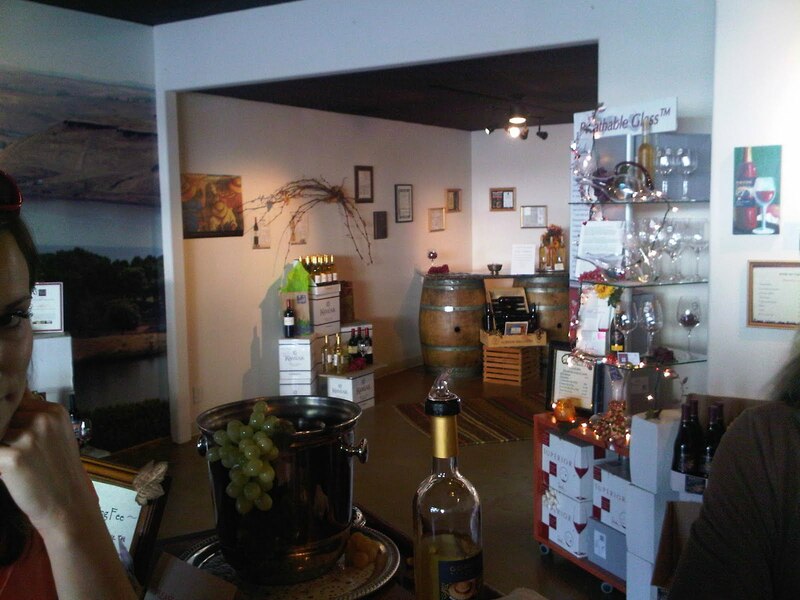 The tasting room here is small, but inviting! My mom even picked up some of Russell’s special spice blend in addition to her wine purchases. Next we moved on to Covington Cellars (@CovingtonWine), which was by far my favorite of the day, and another winery I had never visited before. We were again the only ones in the tasting room when we arrived and we had a chance to chat with winemaker Morgan Lee. Morgan poured us our first few tastes, then grabbed the next bottle and we headed off on a tour of the winery. It was great to see how all storage and production happens in the space they have in the warehouse. 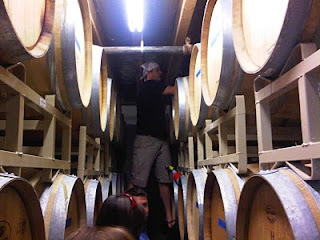 The best part was the barrel samples that we were able to try of wine that will still sit for awhile longer. It had such amazing flavors already and it will be fantastic when it goes to bottle. 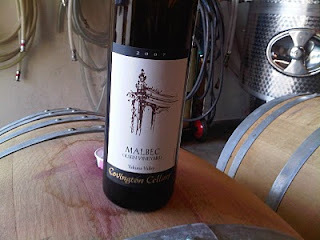 My favorites at Covington included the 2007 Malbec and the 2007 Sangiovese. The tasting room area also has a large table that can be used for special events and dinners. They had obviously done a lot of remodel work on the tasting room, it was very beautiful inside. 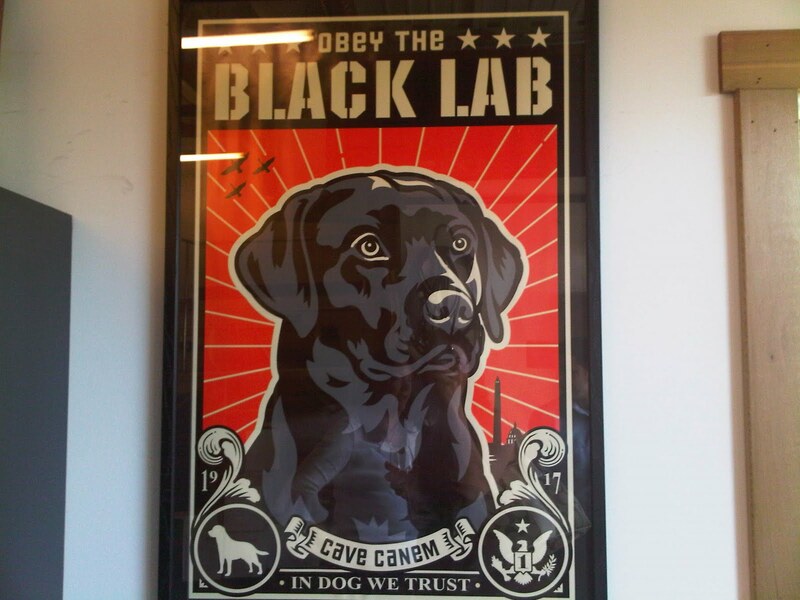 Another highlight of the stop at Covington was a poster in the production area that I knew I was going to have to find for my dad. 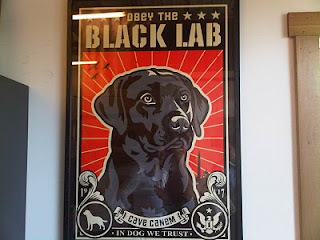 Anyone who has a black lab (or any dog for that matter), knows how true this is! We left Covington and headed back over to the main warehouse area to visit Gordon Brothers (@gordonwines). This was another new stop for me, I was on a roll of visiting all places I had never tried! The tasting room had gift items for sale in addition to wine, including a brand of stemware I had recently purchased one of. The Eisch breathable stemware is supposed to aerate your wine equivelant to wine that has been decanted for a few hours. I have just one piece of the stemware so far, and it’s definitely my “special glass” (and also the one that no one but myself gets to use!). Another feature at Gordon Brothers is a back room area called the “Tradition Room” that is used for winery and private events. I really enjoyed the wines here, and was excited to see that their 2007 Sauvignon Blanc was on close-out special for $6.99! This was a fantastic deal for a great summer weather wine. I ended up joining the wine club here, and was able to purchase their 2007 Tempranillo, a wine that had been in the previous wine club shipment, at a discount. While I did not get to try this wine while at the tasting room, I am excited for it, as I love a good Tempranillo. We decided to purchase our wine to take back for dinner at Gordon Brothers, and left with a 1.5L 2002 Syrah, one that had been voted Best Syrah in the 2006 Washington CEO Magazine Wine Competition. It didn’t disappoint. 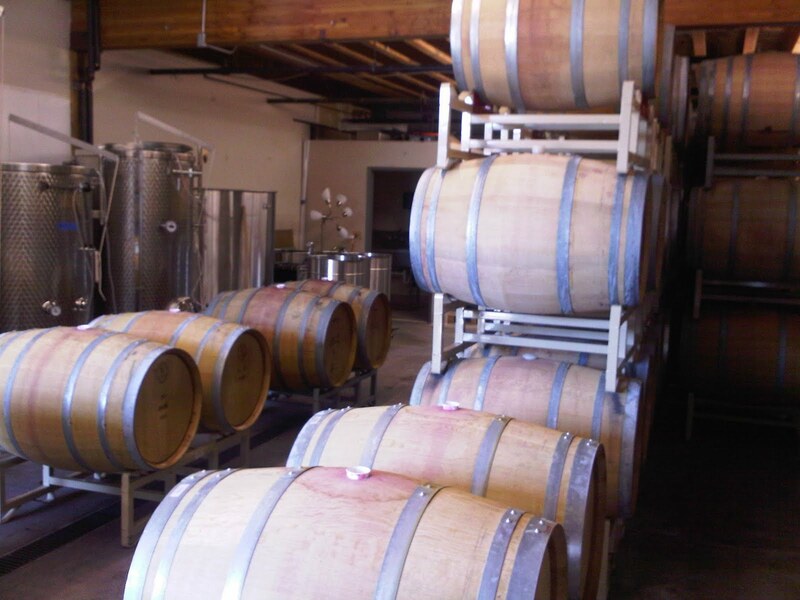 I really enjoyed chatting with Laurie, the tasting room manager, and I look forward to my next visit to the tasting room as a wine club member! We finished our tour off at Smasne Cellars (@smasnecellars)/Gard Vintners (@gardvintners), a tasting room that I have visited several times and quite enjoy. There is such a wide selection of wines to try each time I come in, I still haven’t tasted all the way through! It was great to see Lori working in the tasting room. 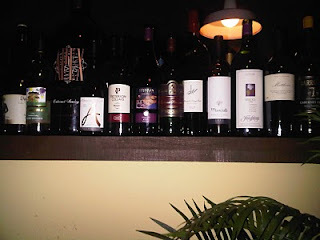 My mom found quite a few wines she enjoyed here, including the Smasne 2007 Chardonnay and the Gard 2007 Syrah. I’ve always been a fan of the Smasne 2007 Rosella Rose, I even took it to Mexico with us last month! We enjoyed several wines here, which was a great end to our tasting tour. We headed back to Russell’s for our dinner reservation and were sat immediately. I had been raving about the gnocchi appetizer to my mom and Caity and after an afternoon of wine tasting, I couldn’t wait to get my hands on it. 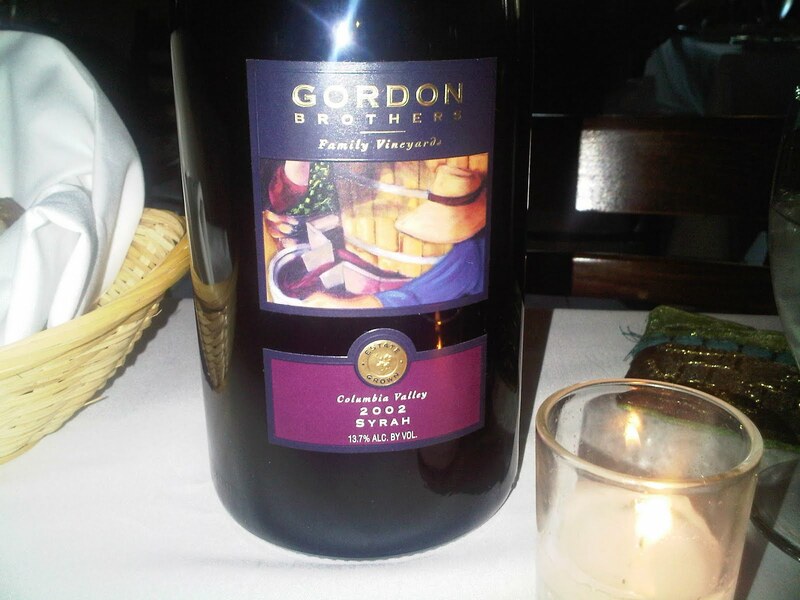 We brought in our 2002 Gordon Brothers Syrah to enjoy with dinner, which accompanied all of our courses well. For our dinner courses, we tried a little bit of everything, sharing the halibut, scallops and New York steak between the three of us. Dinner was simply amazing. I’ve said it before and I’ll say it again, the food at Russell’s is the best around. Everything was prepared beautifully and the service (as always) was fantastic. We finished off our meal with the chocolate gateau, a chocolate cake with a melted chocolate interior. This was a great dessert to share among the three of us and left us so satisfied with the meal. After we finished our wine, our big 1.5L bottle made it up on the wall, I’ll get to walk by it each time I visit now and remember our great day out wine tasting and the great dinner that followed!